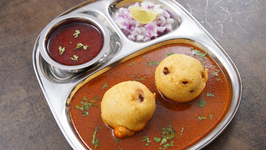 Kat Vada is an authentic Kolhapuri recipe made with a mix of two dishes Vada and spicy curry. 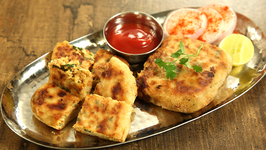 To all the spicy food lovers out there Kat Vada is a recipe that is a must try. 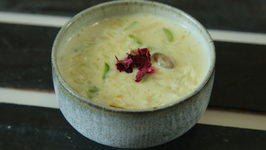 Learn how to make Tandalachi Kheer - Rice Kheer Recipe at home with chef Smita Deo on Ruchkar Mejwani. 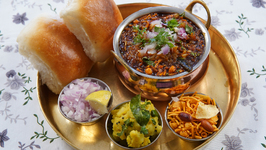 Puneri Misal as the names say is a famous snack or breakfast recipe from Pune. 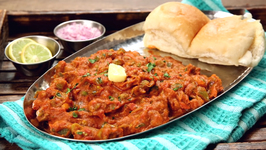 If you like spicy hot food then Puneri misal pav is something tailor-made for you. 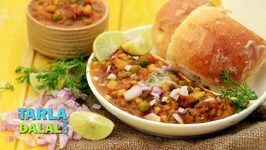 Learn how to Famous Mumbai Street Food Pav Bhaji at home with Chef Bhumika Bhurani on Rajshri Food. 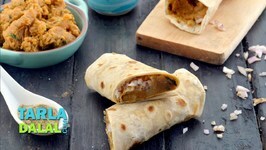 In today's recipe chef Bhumika shows you how to make the Famous Indian .. 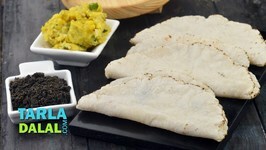 Learn how to make Baida Roti at home with Chef Varun Inamdar on Get Curried. 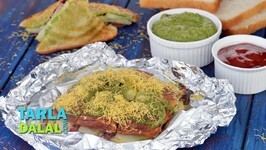 Baida Roti is a well know street food recipe in Mumbai. 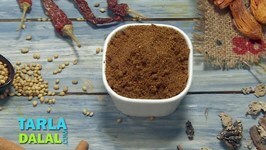 The Goda Masala can be seen as the Maharashtrian version of garam masala. 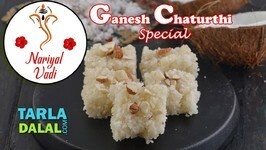 It is used in several traditional Maharashtrian dishes, to give a tongue-tickling flavour and ..
Panchamrut is a dish with a holy connotation, in the sense that it is offered to God during most pujas. 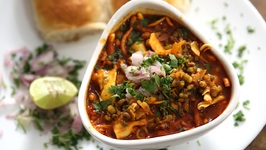 Misal is an all-time favourite Maharashtrian snack that is tasty, energising and nutritious. 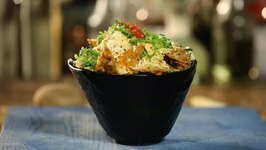 Here, we have created a faraali version of this popular snack, so you can top ..
Bhel, the ever-popular Mumbai roadside snack is so popular all over the world that it has managed to fire people's imagination and spin out innumerable variants. The Veg Frankie of Mumbai is now so famous that you can find Frankie stalls all over the country in parks and beaches, on the street and in food courts. When you want a veg sandwich but are in no mood to settle for a plain one, go for this snazzy Veg Toast Sandwich. 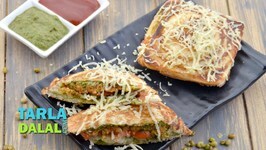 Buttery bread with tongue-tickling chutneys, crunchy onions, a mouth-watering filling and gooey cheese this sandwich has it all made to become a blockbuster! 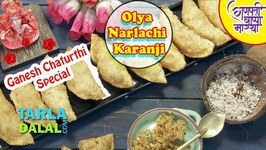 This is a ..
One of the best known traditional sweets of Maharashtra, the Karanji is a delightful treat of deep-fried plain flour shells loaded with a sweet and succulent filling of ..
A crunchy coconut treat with a sugary rush, this Nariyal Vadi is a Maharashtrian mithai that is worth trying in this festive season. 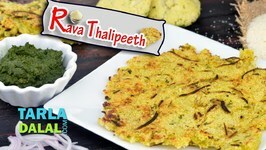 Ready in a jiffy, with ingredients readily available at home, the Quick Rava Thalipeeth is a common breakfast recipe in the Saraswat Brahman community. 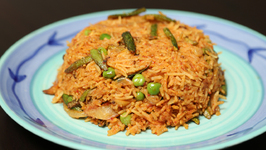 Pitla is a popular accompaniment that Maharashtrians never tire of having! Once you try it, you will want to have it too, as often as possible. 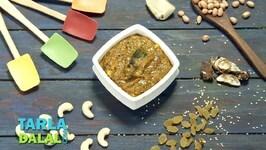 Learn how to make Mod alelya Matkichi Amti at home with Chef Archana Arte on Ruchkar Mejwani. Mumbai Mexico have two things in common! 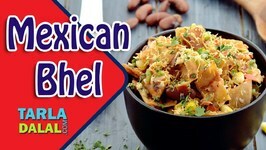 The letter M, and now its also Bhel Nachos Try this Quick Easy Nachos Bhel. 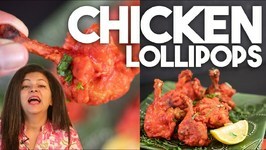 Chicken Lollipops are Chicken wings turned into a lollipop shape by scraping all the meat from one side to another. 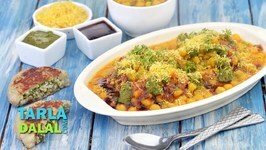 Ragda Patties is an all-time favourite Mumbai roadside snack, comprising crisp and spicy potato patties drowned in a gravy with boiled white peas. 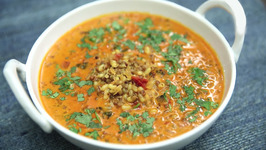 Learn how to make Masale Bhaat a traditional Maharashtrian festive recipe from our chef Archana on Ruchkar Mejwani. 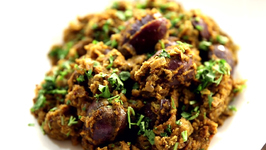 Learn how to stuffed brinjal - an easy Indian main course recipe from our chef Archana on Ruchkar Mejwani. Mumbais all-time favourite street food is now so much easier to prepare, with our handy kitchen helper the pressure cooker! Temper, sauté, pressure cook, thats all ..